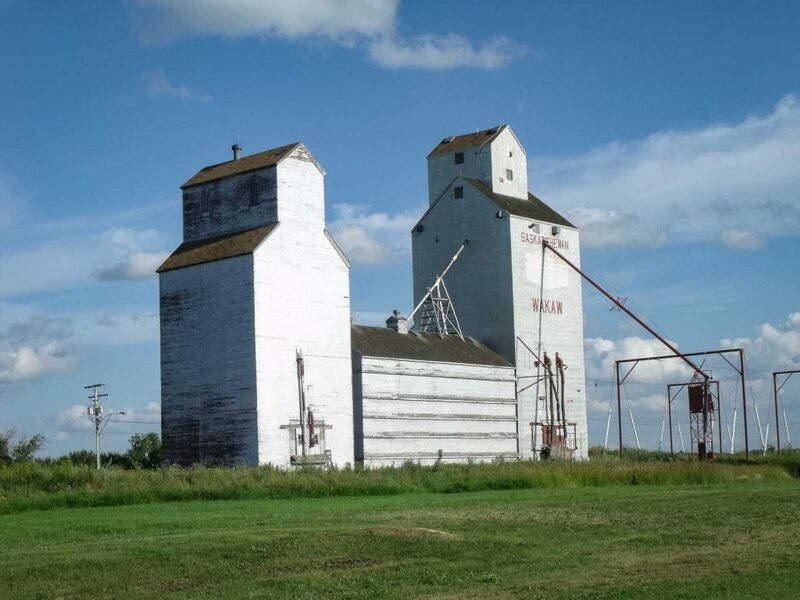 Grain elevator in Wakaw, SK. Contributed by Jim A Pearson. 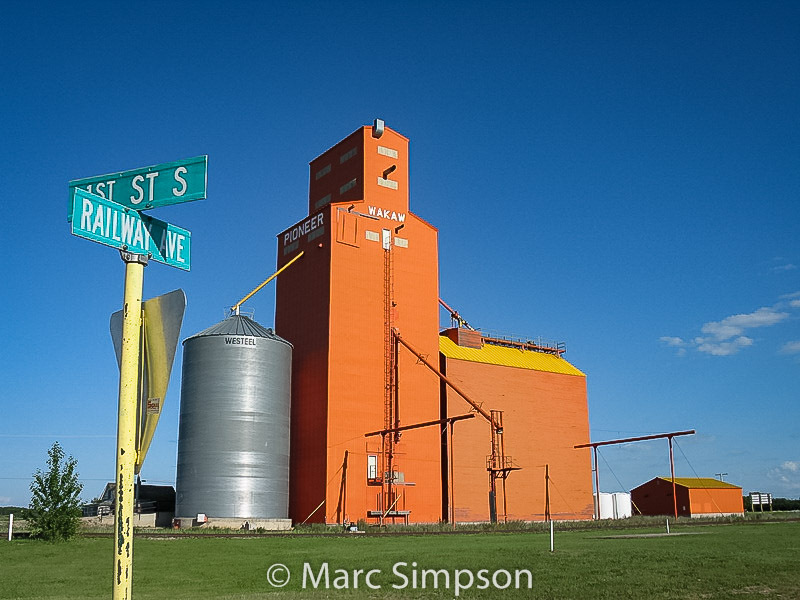 The town of Wakaw, Saskatchewan has one grain elevator remaining. 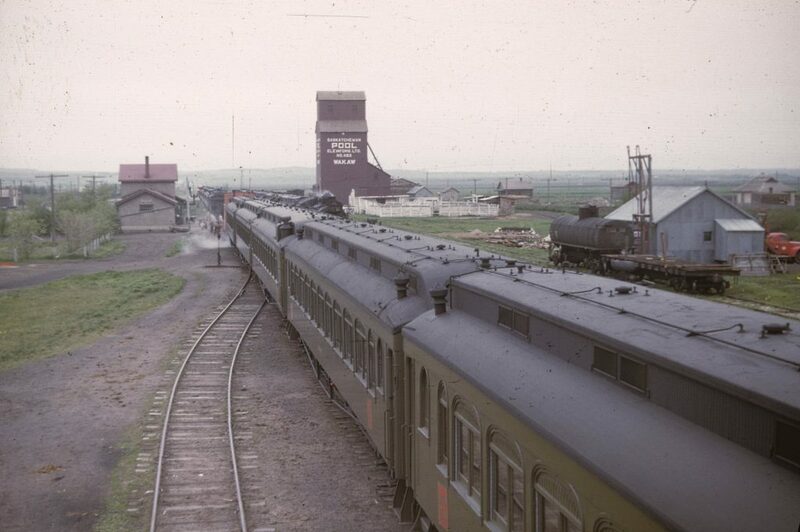 It is an ex Saskatchewan Wheat Pool elevator that is privately owned. The elevator is fairly unique in that it consists of two elevators joined by a low annex between them. Wakaw, SK grain elevator, July 2009. Contributed by Marc Simpson. There was a Pioneer elevator, built in 1982, but it was demolished in December 2017. 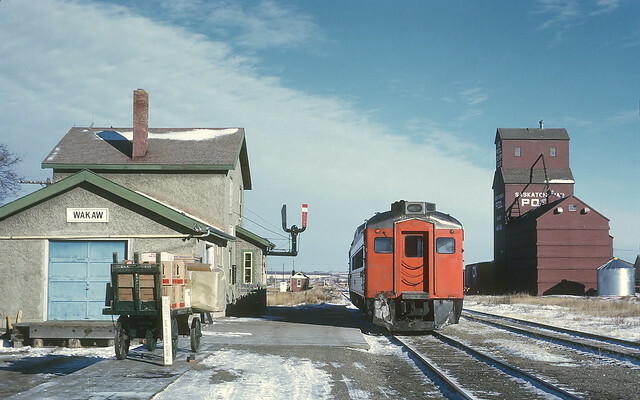 Wakaw, SK grain elevator and train, 1940s, Everett Baker slide.